This project is funded by the Leverhulme Trust and is a collaboration between Plymouth University and the University of Victoria, Wellington, New Zealand. The landscape is intrinsically linked to many of the grand challenges facing our society, such as climate change, food security and energy. Therefore, understanding the relationship between climate and the landscape response to changes in erosional base-level (caused by tectonics or sea-level change) is important if we are to understand how changing climates will affect the earth’s surface. Yet, much remains unknown about how climate (and climate change) influences landform development, weathering and erosion, and what effect different rates of fault motion will have on these systems. 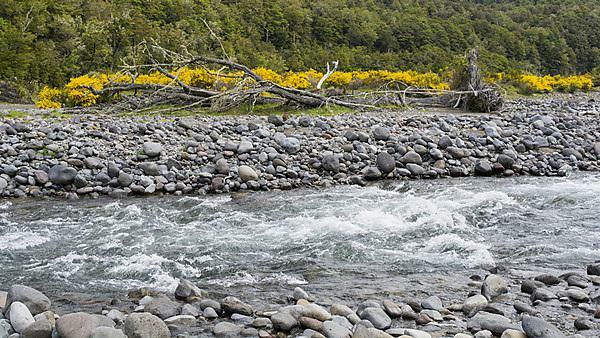 Dr Sarah Boulton’s new research project ‘Bedrock erosion in the temperate zone: a case study from New Zealand’ is supported by an International Fellowship and will investigate the style and rates of river response to active faulting in New Zealand. Dr Boulton will be using digital elevation models (DEMs) and field surveying to investigate the geomorphology of active faults and associated river systems in the north island of New Zealand. Dr Boulton will also learn how to derive and measure cosmogenic nuclide concentrations from samples of sediment bedload from rivers that traverse these active faults, allowing rates of erosion to be quantified upstream and downstream of the fault-driven incision. Cosmogenic nuclide analysis is a relatively new technique that studies nuclides of certain elements (i.e., Be10, Al36) that are formed in the earth’s surface materials as a result of interactions with high-energy cosmic particles. Therefore, the longer the material is exposed to this radiation the more nuclides are produced allowing erosion rates and surface ages to be determined. Integrating these different datasets will allow her to investigate the relationship between tectonics and erosion rate (coupled to climate) in the temperate climate of New Zealand, and with comparisons to more arid environments develop a better understanding of the impact of climate and faulting on erosion and landscape change.